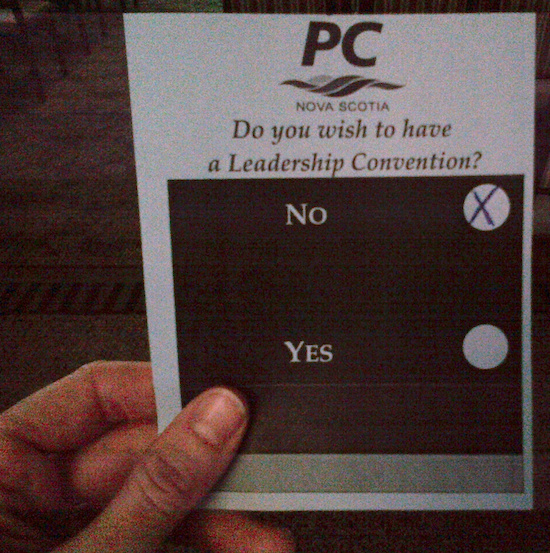 Progressive Conservatives are voting in Halifax at this hour on whether to review Jamie Baillie’s leadership. Some of the delegates have cameras. Contrarian isn’t saying who. Pete Seeger taught us not to name names.